India’s growth is seen not merely in big cities but also in smaller towns. There is tremendous growth across sectors, which has created deeper pockets. Today’s Indian guest loves to experiment with different cuisines given their global exposure. Moreover, the youth are also looking to follow Western lifestyles. There is constant innovation as far as food goes. Guests are always looking for newer dining experiences. It is no longer just about the food that one would eat; today it is about the entire dining experience that goes beyond food – everything from the ambience to the service to the way the team relates with the guests. Another factor playing a major role in the menus is the focus on seasonality of ingredients. As people travel and know more about different food and beverage dimensions, they insist on local ingredients. The freshness and flavour of local ingredients are more cherished by the guests. These global travellers today are more health conscious; they know that they don’t have to eat bland food in order to eat healthy. Millets, that were not part of menus and buffets in restaurants, today play a major role promising both healthy and tasty food, alongside ingredients like quinoa and asparagus. Peruvian cuisine. It has become a whole new phenomenon and will continue to be in the global spotlight, thanks to its colourful dishes filled with new flavours, ingredients and cooking styles. Another trend is Japanese fusion food, as the evolved food connoisseur today looks for something new and unexpected to add that extra zing to traditional dishes. It will also be interesting to watch the way the world will continue to go for regional localised traditional food presented in a contemporary way. Understanding the need to reinvent itself to stay relevant, Taj Coromandel has constantly been engaging effectively with the consumers with clearly differentiated offerings. We ensure that at every pocket of the kitchen there is something new happening. There is a constant motivation and push for R&D that results in new ideas. It is not always about creating a whole new dish, even a little garnish with a stylish twist is encouraged. We continue to innovate with the banquet menus curating bespoke menus for our discerning guests who love to experiment with food. The Jasmine ice cream at one of our banquet events had been a huge hit. The focus of the team continues to be on sourcing unique and original ingredients. This encourages them to also try out different cooking methods. Home style cooked food has made its place in the culinary industry – simple food, fresh ingredients and simple cooking methods. Food and beverage sector in India has made its mark in the whole world. It is one of the most vibrant sectors which has demonstrated unprecedented growth over the recent past, and continues to expand rapidly. This growth can be attributed on account of changing demographics, growing disposable income, urbanisation and growth of retail industry. Brands and restaurant chains of both Indian origin and multinationals have not optimally penetrated the market so far. The sector has evolved dynamically over the past decade, giving rise to exciting new concepts, offerings and innovative service elements. Over the next 10 years, ‘comfort and convenience’ are going to stay in a very powerful way. This will see an increased interfere of technology in F&B trends. Emphasis will be on the key health and wellness trends in the F&B space. Enzyme technologies, bio-sensors, packaging and three-dimensional (3D) printing platforms are likely to impact the global F&B markets. There will be an increase in ‘flexitarian’ customers – a person who is on vegetarian diet but eats meat occasionally. Thus ‘gene editing’ may surface to produce lab-based meat products. But between these, a parallel segment of customers who have the thirst for authenticity, lost cuisines, yesteryear bar and buffet setups, will also surface, but in a very controlled environment. We have incorporated ‘technologies with personal touch’ in our system in a very strong way. Systems like ‘GuestFolio’ have been implemented so as to know guest dietary and culinary preferences in advance, in order to make their experience highly personalised and memorable. Our menus have been designed to cater and fulfill the requirements of diners of all ages, such as sugar-free, gluten-free, vegan, lactose-free, kids menu, tailor made menus etc, with a blend of classic and modern cooking methods like sue-vide, bar-be-que, braising, basting etc. Also, traditional cuisines with supreme authenticity, like Rampuri, Awadhi, Kashmiri and Hyderabadi, have been given a major space. F&B sector – be it in terms of the decor, food or the style of service has been changing over the decades. Initially, butler style serving with traditional courses was a trend. Today, this style is what we call “classic style of service” or the old school. Now, the trend is to have interesting uniforms for the team reflective of the theme and decor of the restaurant, with an emphasis on timely service. Also, chefs are displaying great creativity and innovation, we see wild presentations and ideas being put on the plate in completely different formats, different from anything seen before. From pre-plated Indian and Chinese food (continental style) to molecular gastronomy, you will find little of everything in restaurants. Now we don’t only think if the food or service is good but also put our brains on task to ideate as to what to do differently this time to make a mark on the customer. Even customers look for something different and not the traditional platter-to-plate service. Beverages also have great significance in our F&B sector. People have evolved from having the regular scotch whiskies to having single malts from all around the world. From having simple wines to becoming sommeliers themselves with an impressive collection of wines in their personal cellar. Now in place of Lager beers we have requests for beers from all around the world with different flavours, and micro-breweries are emerging in different cities to cater to this demand. New trends will be all about new innovations. Molecular gastronomy has also now taken a back seat and is no longer the science of Chef Ferran Adria suffused in the full course meals on the menu. Gone are the days of having gadgets as service team for order taking. Now the world has evolved, everyone is so well travelled that along with new presentations and innovative ideas, our guests look for food with complete burst of flavours. Innovative but simplistic way of cooking along with different but new ways of presentation is the way forward. What is also interesting is having bite-sized food on menu especially for parties, be it mini sliders, mini meatloafs, mini rools, mini chicken pot bites, mini cheese cakes and so on. Putting full buffets with curries and a wide array of options is now relegated to large social gatherings, such as marriages. Our hotel restaurants are driven by original classic recipes inspired by the royal kitchens and the ‘Khaansamaas.’ The innovation in our hotel comes from moving towards seasonal and organic products where we have successfully started using 75 per cent of the organic raw material. We believe in being innovative but following the simplistic methods of keeping intact the delicate flavours of each ingredient, with a modern and striking way of presentation. F&B is a continuously evolving sector. There are constantly new trends coming in every six-eight months. Guests are now looking at exploring newer cuisines and therefore, it is important that we stay abreast in bringing in constant innovation and upgradation in today’s F&B offerings. Today, progressive health and wellness amongst consumers are increasingly influencing in redefining food culture. A consumer’s understanding of the ‘healthy’ concept has moved beyond the simple desire for weight control and has become a synonym for well-being and a balanced lifestyle. Hence, focus on wellness cuisines has been a running theme in the consumer food trend. This trend has resulted in the reviving and re-introducing of some of the long-forgotten Indian super-foods. Another trend that we are witnessing is the increased use of Indian ingredients in international cuisines. Trends in F&B are also strongly influenced by international flavours. Guest taste and food preferences are considerably shifting more towards Latin America. ‘Responsible Luxury’ at ITC Maratha ensures that our brands and initiatives are aimed towards working in complete harmony with the seasons of nature, preserving local food cultures and ensuring that good, clean and fair food is accessible by all. The culinary initiatives under ‘Responsible Luxury’ are a step towards meeting the objective of identifying the requirements of discerning guests and in keeping with the organisation’s vision to be ‘Future Ready’. Signature Mornings – This includes local flavours, comfort foods, and forgotten foods with an emphasis on fresh and seasonal produce. Each dish has been guided by a ‘caringly sourced; mindfully prepared’ approach to showcase – locally sourced, free range, Indian super foods, forgotten ancient grains, ‘good for you’ breads with increased focus on gluten free and lactose free breakfast options. Pavilion PURE – Season’s goodness cold-pressed just for you. Juice blends using in-season local ingredients in healthful combinations. Swasthya cuisine – India’s earliest diet philosophies call upon us to pay attention to season, time of day, and our own disposition, when choosing what to eat, preferably from what was available within our immediate environment. Sattva – This ‘Honestly Vegetarian’ initiative, like the Sanskrit expression Sattva, is premised on truth and purity in vegetarian cuisine. Local Love – A selection of indigenous flavours from a locale or region compiled by our ‘Food Sherpas’ (chefs). Kitchens of India – Under this initiative, ITC’s Maratha showcases cuisines that highlight unique, undiscovered, royal and forgotten aspects of the Indian culinary scape. Alert Meets – This thoughtfully curated menu selection comprises a range of deliciously varied organic food with an emphasis on delicious, hearty and healthful, revitalising gourmet preparations using the finest ingredients. ‘Choose Wisely’ Programme – In association with WWF, ITC Hotels is India’s first participant in this programme – a collaboration with the Central Marine Fisheries Research Institute, aimed at promoting informed choices on fish consumption, whilst leaving the decision making to the consumer. F&B sector is growing very rapidly. Higher disposal income, internet and experiment with food attitude of Gen-X has taken the F&B experience to next level, where they want to experience new and old classics with great zeal. In the last few years, India’s food and beverage scene has drastically transformed since people’s knowledge about food has also expanded. But we can see a necessary shift towards local raw materials and regional cuisines which will further alter people’s eating habits. The research highlights that re-inventing old classics are the way forward and can shape the F&B industry. Also, the forgotten Indian street food is going to come back in a big way. We can see that future will shift to sourcing locally and celebrating regional cuisines. Routing our way back to traditional dishes we have redesigned the menu at The Pickwicks. The new menu pays tribute to the flavours inspired by old Delhi with newly incorporated section ‘Old Delhi Cuisine’. It also would speak of the property’s old connect with the city and include dishes like The English Battenberg Cake, Bakewell Tarts, Flummery pudding among others. Keeping local materials, sustainable practices and true quality in mind, we have maintained the real essence of food in the menu. We are all set to go back to basics and all old classics are being synced in harmony with modern cooking methods. Our new menus dawn the avatar of Indian street food of old times and re-living the past. The ever changing demand of today’s customer is the major factor affecting our business decisions. Concepts come and go in the market but till a particular trend fades out, the food industry goes through a lot of turmoil and in this case one has to think a step in advance as to what next. To start with, digital is one of the latest F&B trend. It is important to be equipped with the latest technologies to cater to the guests. At Pluck, our modern European and contemporary Indian restaurant has introduced ‘video menus’; every guest can see what he/ she has ordered. There is a video option in front of every dish which enables guests to see their dish. Hence, trendy menus is the new trend. You will see a growing emphasis on farm fresh ingredients and the emergent demand for hyper localised and unique flavours, the food industry looks like it is set to return to basics, while also experimenting with different styles of cooking and preparing dishes. The modern and the outmoded will come together in the chef’s kitchen, to produce food that grabs the demands of the globalised foodie. We are moving forward by moving backward. Back to the roots with a twist. We want to relish the simple recipes or comfort food with a bit of modern twist. For example, the modern Indian menu at Pluck has rogan josh with risotto which pairs perfectly. Farm to table: Fresh is the new trend. Everyone is seen growing organic vegetable and herbs at their house. Terrace gardening has taken a new turn altogether. Similarly, chefs are opting to maintain and run their own vegetable and herb gardens. The menus will see a lot from this stream specially. The experience of having a farm and plucking to eat from there has become the new trend. Chefs will prefer guests coming to see what is grown and what is served on their plate. Wellness menus: Vegan, gluten free menus are in demand. Guests prefer healthy options like fresh salads, hand plucked salad leaves and freshly made juices. Cellular agriculture may also be a focus in coming years in food and beverage wherein animal free proteins are being produced that are molecularly identical to meats. Video menu is latest innovation: We are always brainstorming and trying to present a new innovative way of experiencing the amazing gastronomical ride at Pluck, our avant-garde restaurant for our guests. We have been cooking up something new for our guests – an interactive video and photo based digital menu. Each dish on the menu has an option to play the video. This aims to be the next big habit forming trend in the F&B space. House made/ artisan items: We have introduced our chocolates bars, force meats, Pullman wines – Rouge & Blanc and a wide range of bakery goods, all handmade. Local and sustainable foods: Today, it is all about producing healthy food, free from artificial sprays and colouring, adhering to food production practices. The F&B sector comprises of very different schools of thoughts within the industry, working and collaborating at the same time. At this point I see an interesting divide between the generation who has already experienced and explored the phenomenon of molecular gastronomy or the use of advanced machineries and equipments like sous vide v/s the younger generation who are exploring the idea of modern cooking within our own cultural boundaries, understanding the rich food culture of our own country and power of local cuisine and ingredients. It is heading towards a direction where concentration is on a balanced cooking experiment or imbibing the right amount of modern and traditional techniques and flavours in cooking and going “glocal” in true sense. I believe the future trends will involve the concept of small portion servings. Since the options are so vast as compared to earlier times and the guests are better travelled and more familiar with their food and everybody likes to try and experiment, the control of portion size is more economical and avoids food wastage. It also emphasises on the art of plating! Another interesting trend I can see is the involvement of “home-chefs”. More and more home chefs are collaborating with establishments to provide an experience that feels like dining out but the taste remains more homely and wholesome. Which is a great experiment since it also promotes the local cuisines. The Park Hotels strongly believes in the “Anything But Ordinary” philosophy and have always adapted well to the changing fashion and creating a niche for itself. Since Hyderabad has a very strong influence of culture in food, The Park Hyderabad creates experiences that is driven by its culture. The Park Hyderabad strongly believes in chefs interaction with the guests to create a memorable dining experience. We experiment with the Pop up Kitchen concept, where we pick one cuisine, work a whole theme around it for one week and the restaurant turns into a different place with thematic presentations and ambiance. I have also started a “No Menu” concept where the guest is not offered any menu but the chefs personally attend to him, interact with him to understand his likes and dislikes and get an idea about his palette to create a very personal experience for him. There is a huge shift in the preferred dining destination among the guests. The standalone properties in India have changed the whole dining culture. This is a good breeze of change as there is more room for creative thinking among chefs and the management as compared to earlier times. Times ahead will see a change in organising the sector in a more systematic and legalised structure. Guests today are well-travelled and have a good idea of the cuisines served internationally. They like to experience local cuisine, but also look forward to indulging in the cuisine of their home country. The focus these days seems to be shifting from ambient fine-dining experiences to that of authenticity of local delicacies offered to guests. Curation of molecular gastronomy and its kind often involve a lot of understanding from a guest’s perspective. However, nowadays guests seek simpler food that is easily made, simple yet attractive presentations, flavoursome and authentic. One factor that needs to be kept in mind is that, with every guest’s ever-evolving palate and curiosity, they often look for an experience of different cuisines and cultures. However, sometimes it becomes difficult to source rare ingredients that are otherwise abundantly available in different countries. We at Sofitel Mumbai BKC are now making it a point to innovate and curate international or regional delicacies with ingredients that are more abundantly available in local markets, without compromising too much on the authenticity of the dish itself. We try to keep a mix of gastronomical delicacies as well as the simpler dishes those guests otherwise look out for, in order to cater to the maximum number of guest’s needs and demands. Sofitel Mumbai BKC throughout the years is known for their ‘Magnifique’ food festivals that promote the gastronomy and cultural aspect of the brand. International chefs from various countries have been invited to showcase their native cuisine, including a German chef for crafted sumptuous sausages, cold-cuts and charcuterie delicacies, French chef for introducing guests to the flavours of France, Japanese chef for an Oriental affair, a Vietnamese chef for a taste of Vietnam and more recently a Turkish chef for Turkey’s innovative cuisine and a Thai chef for an authentic Thai culinary experience. 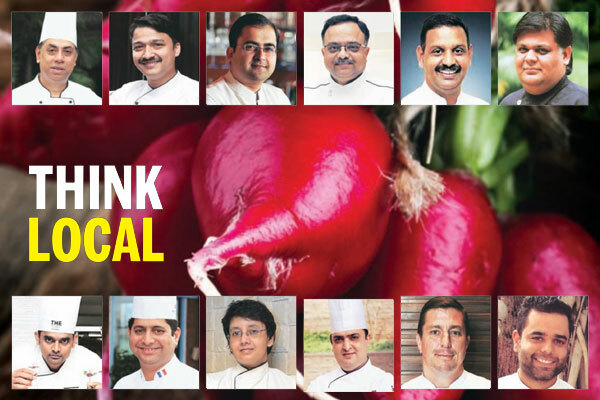 The hotel has also hosted several local chefs to showcase our national cuisine such as Rajasthani, Bengali, etc. spreading from North to South India. These initiatives taken are just the tip of the iceberg in presenting our guests with a range of different experiences with regards to food. Without change there is no innovation, creativity, or incentive for improvement. Those who initiate change will have a better opportunity to manage the change that is inevitable. Change or evolution is a constant phenomenon. As far as the F&B sector goes, it is one among the most vibrant industries which has demonstrated unprecedented growth in the recent past. The industry continues to expand rapidly. This growth can be attributed to changing demographics, growing disposable income, urbanisation and growth of the retail industry. As people become global citizens, their expectations and needs have become specific and multiple so the market has to evolve to cope with the demand. There are lots of upcoming food trends which will be hitting the market soon such as vegan, gluten-free food products, street food inspired foods, authentic ethnic cuisines, home-made preserves and pickles, home-made authentic spices and home made charcuterie, to name a few. We do service authentic regional cuisine in our restaurant. In our menu, we also have vegan selection. Our all breakfast preserves and pickles are home-made. It is one’s vision and passion, which I believe enables us to think ahead of time. Increase in the disposable incomes have contributed significantly to the growth of food industry. Although demonetisation and GST were not favourable, but still the F&B industry in India has grown considerably. I think with time we will see greater heights. Globalisation of flavours, use of local ingredients, supporting our own farmers, lower profit margins and larger volumes will be the name of the game. Also, the focus on freshness and flavours in food is returning, focusing on simpler creative food. Local product will achieve importance. Farm-to-fork is catching up and chefs and organisations are working with farmers. Fusion food and regional cuisines will take the world by storm. For instance, Eurasian cuisine, while already popular, will move to the next level. More and more people are appreciating traditional flavours but the young millennial population have started shifting towards modern cuisine which is the local versions of various western cuisines and introduction of innovative cooking methods. Modern Indian cuisine is becoming increasingly famous. Very soon, F&B industry will not revolve only around food, it will be an experience. Foodtainment (combination of food and entertainment) will be the new way of looking at things. Restaurants with concepts and themes will be more successful. Future will be of multi-cuisine restaurants. Guests are more inclined to consume products with higher health and quality quotients. We need to be on front foot and keep changing things constantly according to the demands in the market and consumer patterns. You can’t have just one strategy to tackle this ever changing industry. One should never get satisfied in this industry. As the F&B world is an ever changing world of trends, it’s important to stay current with what is going on in the market around you, in particular Mumbai and India, because there is already a very wide diverse food culture which is always changing from region to region, state to state or even north to south. You really do have to listen, look, read and be aware of what your diners are looking for as they’re a lot more educated and have now evolved to global foodies thanks to the digital revolution in the country. I believe the “healthy life style living” is already an emerging trend and will continue to become stronger in the years to come. People are much more health conscious and want to eat more healthy in their day to day lives, not always looking for the next big meal. Today guests wants to know where their food is coming from, where was it farmed, where was it grown, where it was fished from, etc. This will only continue to grow as a trend in F&B. The Hyatt’s philosophy is food “Thoughtfully sourced. Carefully served”, and here at the hotel we are living up to that philosophy to the best of our ability throughout all the restaurants in thoughtfully selecting and knowing our vendors, so we have the best opportunity in carefully serving our ingredients and products in the purest form possible. This can sometimes be challenging with multi-cultural restaurants however, my chefs and I look for every opportunity to use what is local and available to create the best dishes possible for our guests. F&B has seen a constant evolution where initially the concept of fusion and molecular gastronomy was given importance, but the trend now has shifted to simplicity and flavours. We want our guests to experience flavoursome food sans chillies. But we faced reluctance from diners at first since they felt that chillies are the main element of Indian food. However, we have received very positive feedback from diners who thoroughly enjoyed the dishes at Kheer and realised that there are many elements in addition to just chillies that form the crux of a dish. Also in terms of condiments we don’t serve any green chillies and instead offer spring onion chutney rather than the regular green chillies chutney along with circa onions. Regional cuisine is coming up in a big way now in India. From South Indian, Goan, Bihari and Sikkhimese among the regional Indian cuisines to Peruvian and Sri Lankan on the international front, regional food has become the latest trend. The magic behind our restaurants at Roseate House is flavours. For example, Machalee (Andaman raw tuna) is amongst the simplest of dishes at Kheer, the recently launched Indian cuisine restaurant at Roseate House. This dish offers a burst of flavours coming from pop mustard, raw onions and tomatoes, ginger, mustard oil, lemon juice, curry leaves and mayonnaise with zero chillies. The logic behind offering zero chillies is purely because it is our endeavour to change the perception of Indian food being ‘spicy’ in terms of ‘hotness’ to ‘flavoursome’ by adding spices other than chillies.